Neha’s is most known for the ancient Indian technique of eyebrow threading. 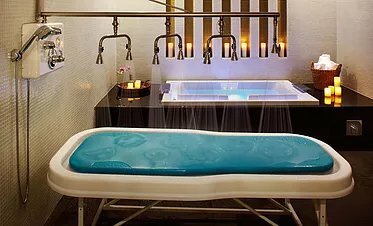 However the spa features a variety of services for both men and women. They include not only eyebrow threading but also, Hair, Massage Therapy, Facials, Manicures/Pedicures, Spa Packages, Couples Packages, Spa Parties, Makeup for all occasions, Henna Tattoo and More! Each treatment offers specialized services, customized to meet your individual needs. Our standard line of skin care is Biotique Botanicals. Biotique is synonymous with serious skin and hair care developed from Ayurveda. Biotique treatments do not cover up problems - they eliminate them. With 100% botanicals. No animal testing. Even the packaging is eco-friendly and recyclable. At your request we can also use Bioelements, which is also a natural skin care line, where every ingredient meets the highest standards. Using organic botanicals and powerful antioxidant vitamins. Products are custom blended during your facial to give you the best results possible. 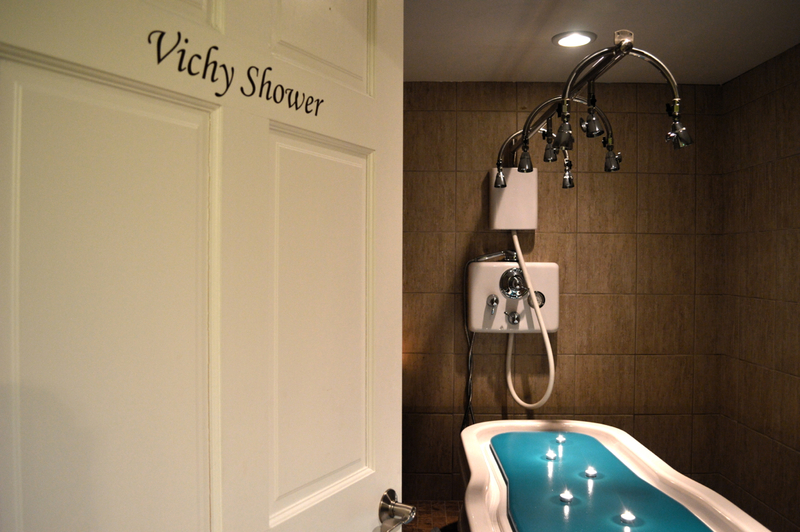 We are 1 of only 3 Spas in a 75 mile radius that has a Vichy Shower room for body treatments. Using the finest natural products available, all of our scrubs and masks are made in house by our skilled Therapists. 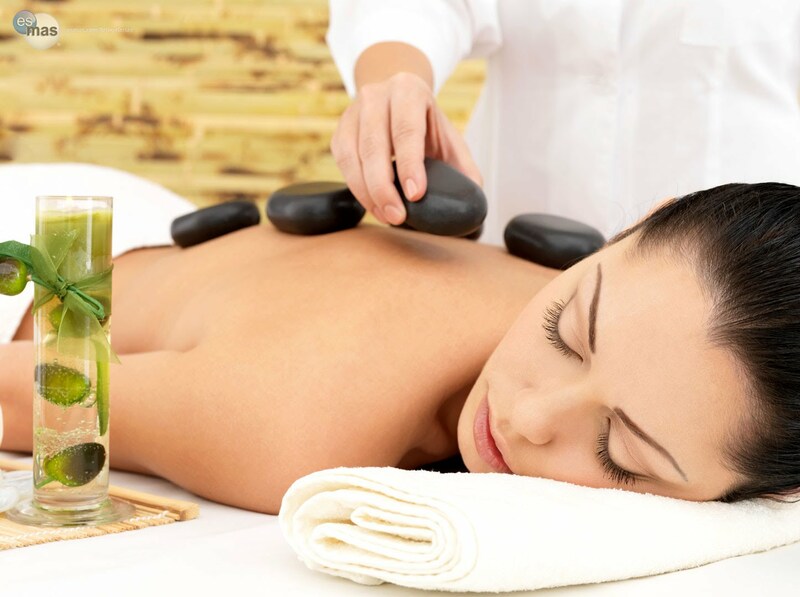 Our extensive menu of services includes traditional and holistic therapies that will relax and soothe the mind, body and soul. Our Spa staff will pamper you from the second you enter our serene lobby. You will be given a soft robe and slippers to wear while you enjoy herbal teas and fruit infused waters. Gaze into our warm fireplace while your tensions are melted away by the serene sounds of our spa. 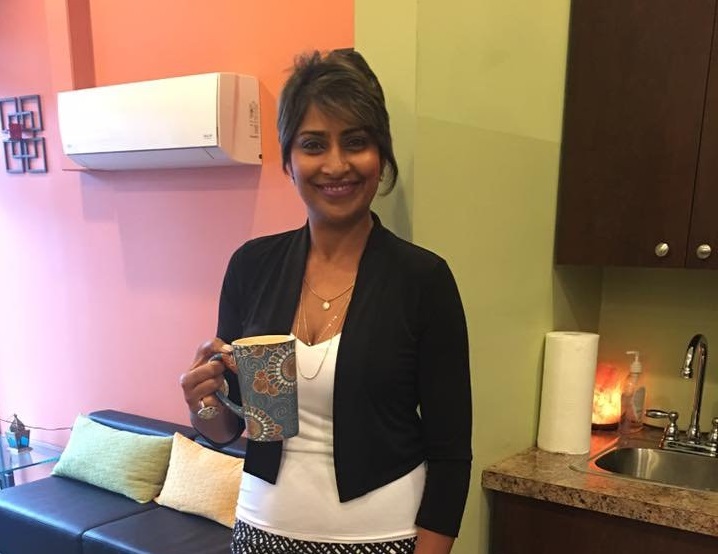 Neha Gupta has been a part of the Baltimore community for over 18 years; she worked in various salons before opening her own place about 5 years ago. She started by herself and slowly built upon her clientele from scratch. Within just a year she established herself as a Threading expert in the Pikesville community. 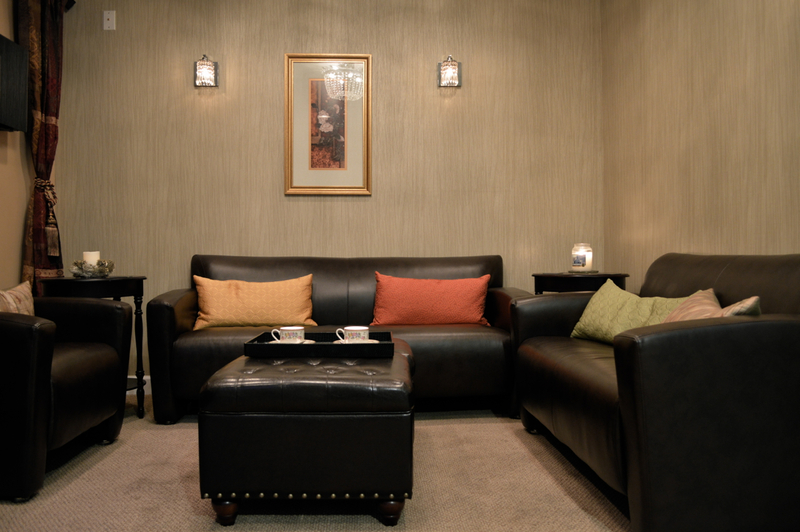 The salon also expanded their business to cater massage, skin care and styling services. She always had a dream to open an upscale spa that will promote diversity and cater to all communities. After working in Pikesville for 4 years and establishing her business she finally found the perfect opportunity to fulfill her dream. A free standing building right across from her location was up for sale. She seized the opportunity took the bold risk and closed on the property. One of the main reasons of Neha’s continued success is that she has perfected her unique threading technique to be virtually painless. Her customers often say, "when Neha does the threading, there is very little or no pain at all." The soothing head massage that she offers at the end of every eyebrow threading service is considered to be that cherry on top.